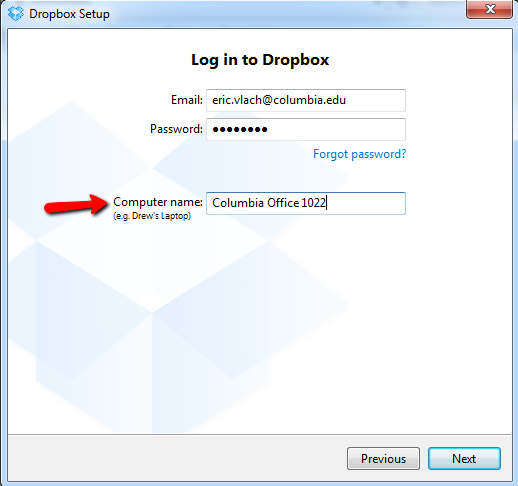 These instructions are for creating a new dropbox account and then installing it on your windows machine. For help installing on a Mac, please contact me directly. 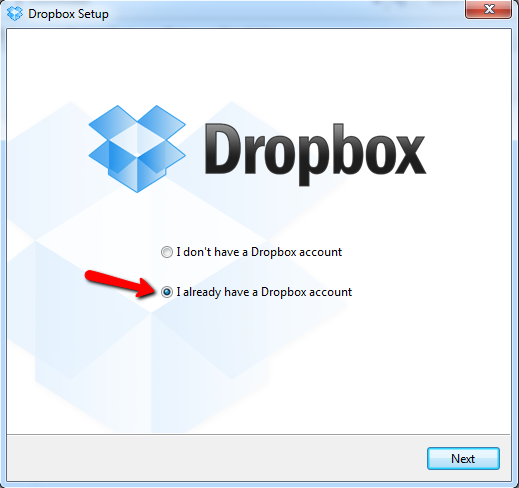 Dropbox is a free program, and gives you 2GB of free cloud storage. Click on the above link to create your account. 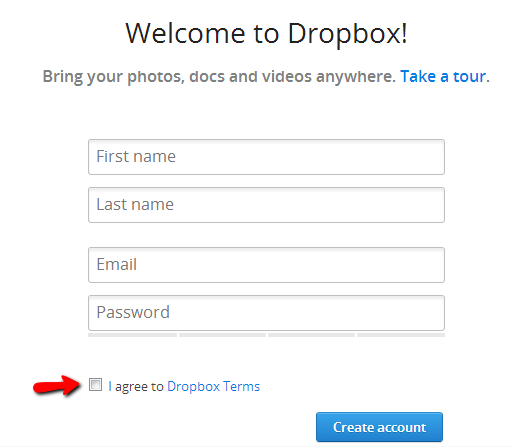 Enter your name, email, and password, and accept the terms. 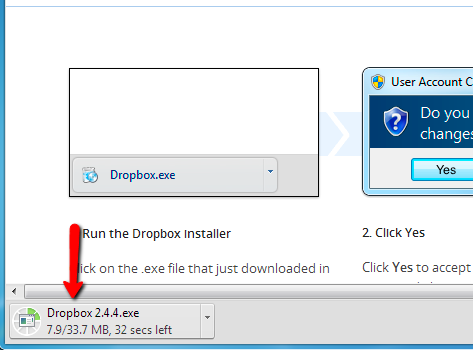 The download will start – follow the directions to accept and/or save the download. In my example, the download is being processed with chrome. Find the file that just downloaded. 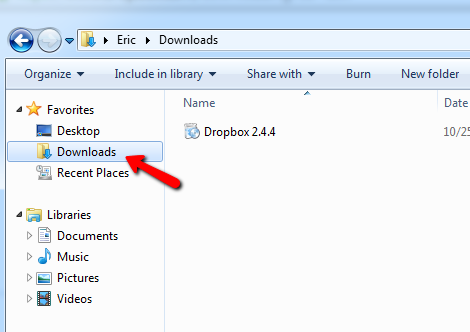 By default, it will be in your downloads directory. Double click it to run. 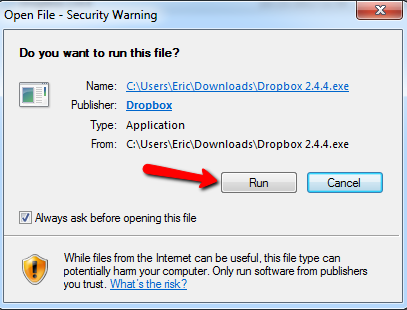 Accept any prompts that show up, click “Yes” or “Run”, or both. Log in using the account you created in step 1. Also, give the computer name something easy to remember, such as “home computer” or “Columbia work” or something similar. For the next few screens: “Choose setup type” keep “Typical”, “Setup your smartphone” – this is optional, enter your mobile number if you want to install dropbox on your phone. If it asks, choose which version you’d like (the free 2GB version is plenty), and then go through the 5-step tour if you wish. At the end, click “finish,” and your dropbox folder will open! 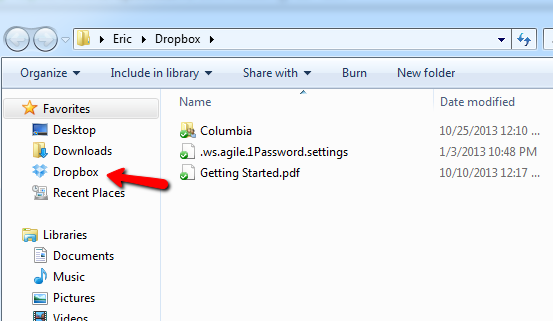 To find your dropbox folder, open any explorer window, and click ‘dropbox’ on the left. 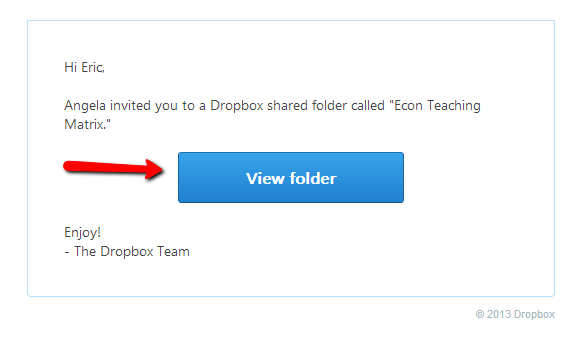 If someone shares a folder with you, you will be notified by email, and you must accept the shared folder notification. That’s it! If you have any questions or problems, please contact me for help.